What lies here? A fun, one of a kind, hand sculptured and painted porcelain portrait-pendant on a silver pin with a necklace adapter. This one's for the books - but only one. charmed me! Remember it's hand-made; only one available. 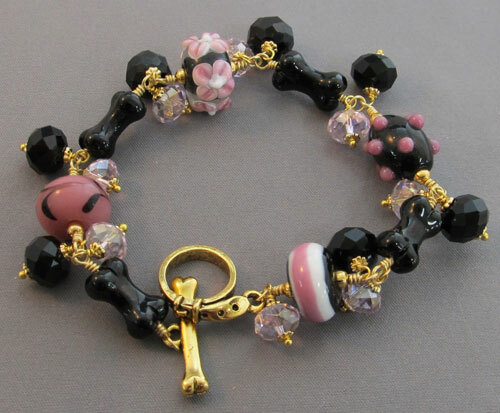 Artisan lampwork beads and Austrian crystals and gold glitter this gorgeous Dog Lover's gold dog bone and dog collar clasp. Just one of these in stock! 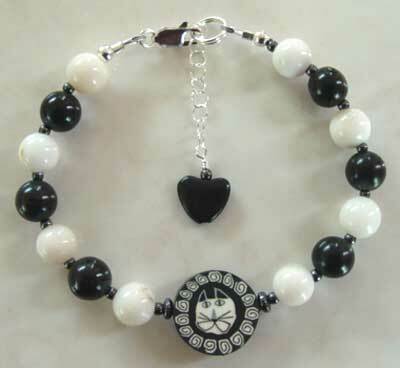 Each piece of jewelry is so unique at For Love Of A Dog, and the Cat In The Garden is no exception. 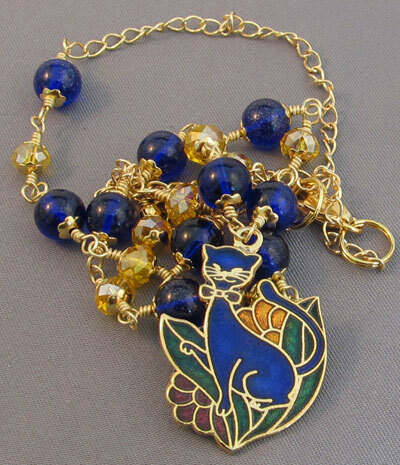 If you're in love with enamel jewelry and the look of cloisonné, you will love this one of a kind cat lover's necklace. 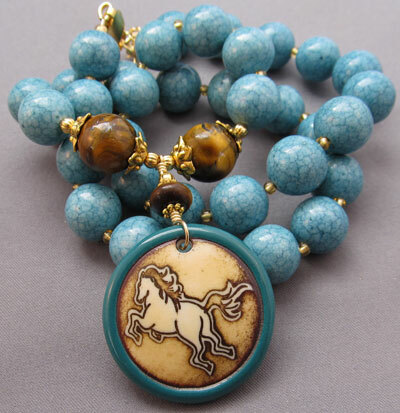 The jewelry and ornaments at For Love Of A Dog is so unique, you'll want to look at all of it, whether you have a dog, cat, horse, or none of the above. 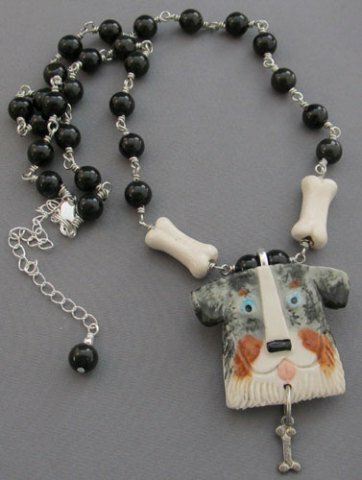 The store has a breadth of items from breed jewelry to 'mutt,' and animal rescue items... from bracelets, necklaces, earrings, and pins.... and even Christmas ornaments. You have to bookmark this store for your Christmas list; it will be your go-to site for gifts for your pet loving friends and family!